Danny Jonson says he didn’t see the signs his brother was struggling with his mental health. NO ONE saw it coming but looking back the signs were there and that's what makes it even worse. 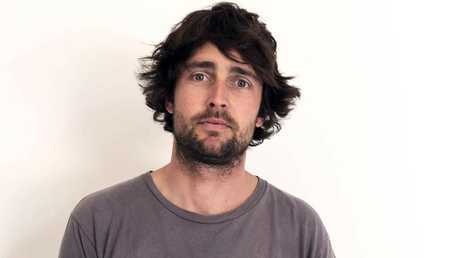 "It was this weird combination of the biggest shock in the world but then, suddenly, a lot of things about his behaviour made sense in hindsight," begins Danny Jonson, 35, as he reflects on his brother Lee's decision to take his own life, 10 years ago. Once the shock subsided, grief and guilt set in as Danny began to recognise signs of his brother's struggle everywhere. Knowing what he now knows about mental illness, he is determined to get the message out and help others avoid the same fate. "We didn't have the education around mental health that - even though it's lacking nowadays - 10 years ago, there was almost none," he says. Raised by a single mother, he'd grown up in a rough part of a regional centre, where suicide statistics were already 40 per cent higher than metropolitan areas. 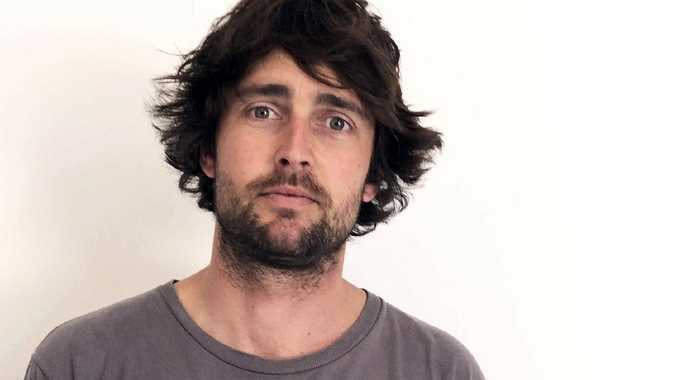 As the firstborn child to a "pathologically narcissistic" father, Danny says Lee had "borne the brunt" of their dad's "odd behaviour" during the all-important developmental stages of his life and "had that built into his personality from a young age". "He didn't have a birthday party where he didn't end up in tears as a child," he says. Today, research shows childhood trauma and abuse is a common precursor to mental health issues later in life. With extensive counselling it can be overcome but Lee never talked about his problems. It just wasn't the done thing where they grew up. Nor was it any more common in the cities he and Danny moved to as they got older. "Vulnerability on any kind of emotional level, in a lot of male group dynamics, is seen as weakness and goes exactly against the general social structures men entertain and enter into," Danny says. "(There's) not really much space for it among the type of behaviour men have, which is: who can get the most f***ed up, who can be the most extreme, who can be the funniest, who can be the most outrageous. It's that pecking order that goes on (and) doesn't have much space for the one-on-one chat," he says. 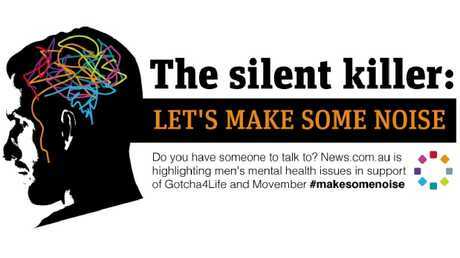 News.com.au is highlighting men's mental health issues as part of its campaign The Silent Killer: Let's make some noise in support of Gotcha4Life and the Movember Foundation. "I think that's only half of it. The other half is educating everyone how to read the signs that someone is trying to open up - and how to listen. "No matter how clunky it is, they're trying to talk about things that are really difficult." "All that R U OK? stuff is great - if there is more education behind it," he says. It's about seeing those signs when someone is trying to communicate or even repelling people because of their behaviour, to try and go against your natural instincts to move away from them and instead to try and be there for them. "I think people are aware of the 'words' and the 'terms' but I think if you ask a lot of people (if) they know any of the signs around the best and most adequate ways to treat all these different things, I don't think many people would have good answers," he says. In his brother's case, reaching out was made difficult by his tendency to socially isolate himself, something Danny says he noticed setting in as early as 17 years old. "He was distancing himself from a lot of people around him, not everyone and not all the time, but it was definitely there, a distinct behavioural change around that time," he says. "He would just avoid social situations, he would isolate himself from everyone - friends, family, everyone," he says. "Everyone would always want more of him but he would isolate himself with excuses of work and study," he says. "I've come to realise now he probably suffered pretty severe social anxiety. That would have been a really big contributing factor and it would just multiply," he says. "When you have that anxiety, you're probably not around people as much and it becomes worse and it becomes this downward spiral where you're just isolating yourself and missing that interaction that we all need," he says. News.com.au is running a campaign The Silent Killer: Let’s make some noise on men’s mental health. Beyond that, his brother also suffered long-term back pain, requiring painkillers to perform physical activity and exercise. It's unclear what those drugs were - or if they factored into his mental health issues - though longtime use of opioids or benzodiazepines (two commonly prescribed painkillers for back complaints) are infamous for creating addiction, dependence and withdrawal issues, often manifesting in severe mental health issues, such as anxiety, anger, depression and suicide. "For anxiety and pain we often want the pill because we see it being quick and effective, when sometimes we need to look at the underlying problems - losing weight, exercising more, being involved in our communities, all these really basic things that can't be addressed by just taking a pill," says Dr Jennifer Stevens, a pain specialist at St Vincent's Hospital in Sydney. "If you just take pills, that may in fact make it worse because when you have withdrawals from your pills, every time they wear off your anxiety flares again, so I think it's really important to look at the underlying issues and to take the time. And again it often comes back to taking enough time to exercise which helps with anxiety, with depression (and) taking enough time out to connect with your friends properly. Just really important things we often don't put a time value on in society," she says. "You just feel like you let someone slip through the cracks. You feel like there is so much you could have done, " Danny says. 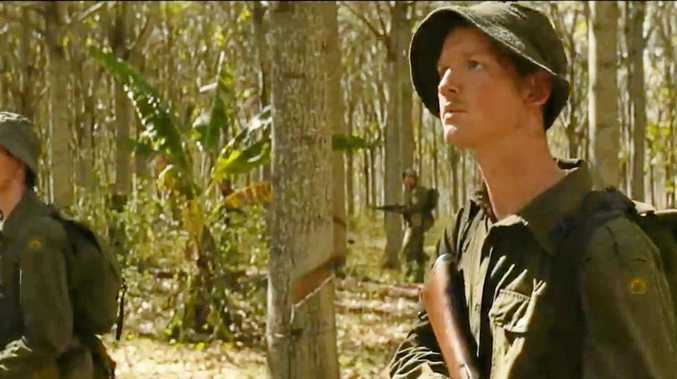 "It was this instant realisation that he was suffering throughout a lot of his life. "With hindsight, you can see it and to know that he was suffering and you didn't do anything or you couldn't help, or whatever, it's such a brutal thing to live with. It's really tough."